Good Nature is an indie rock band from Edmonton, Alberta. Their music encompasses a wide variety of musical genres- it is the perfect blend of pop, rock and funk. In August 2016 they released their long awaited debut EP Waves- a colourful mix of upbeat, incredibly catchy tunes. Their songs have had air play on Alberta and BC campus radio (CiTR, CHLY, CJSR, CJSW, CKXU, Heatwave Kelowna), CKUA, 102.3 Now Radio, Mix 107, and CBC. They have also racked up over 36,000 plays on Spotify since their EP release and 7000 views on their “Waves” music video alone. Their name is a fantastic fit for their sound. Their songs have encouraging messages, and the upbeat tone of their music emanates positivity- making it perfect for anyone who loves happy, danceable songs. 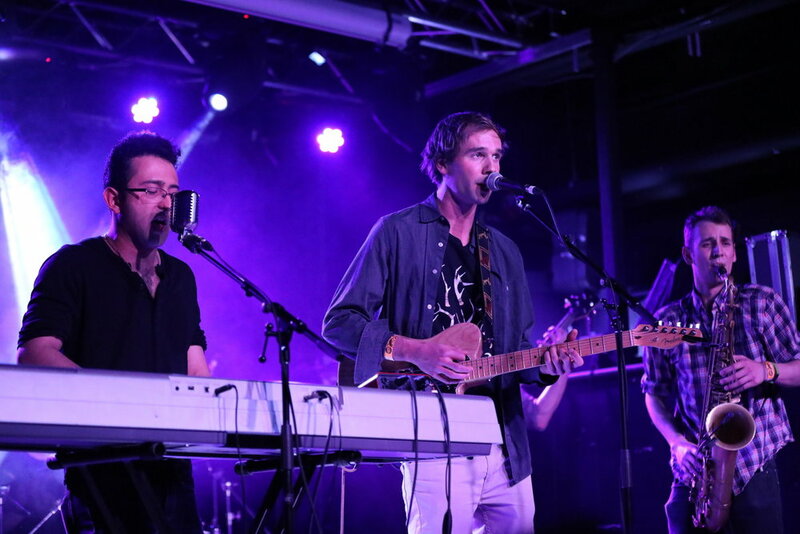 Good Nature will no doubt continue to build their following, gaining fans of all ages, as people of any age can enjoy Good Nature’s up-tempo, catchy music and their exhilarating live shows.